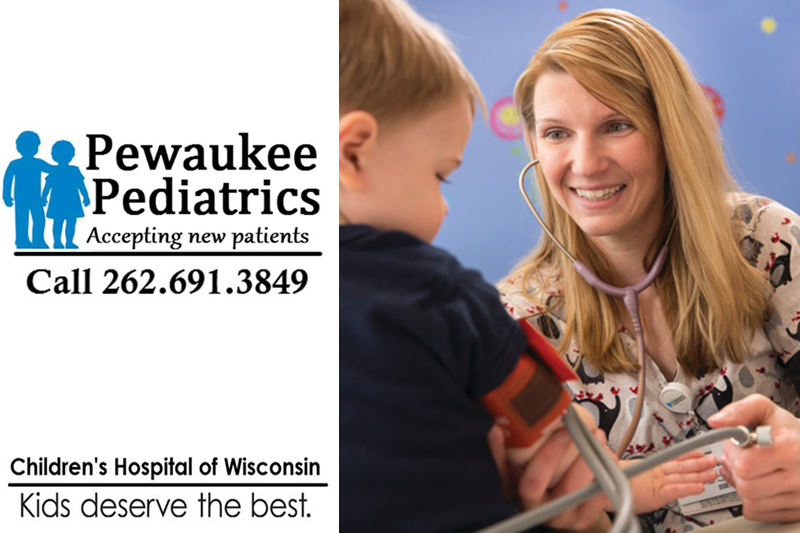 Children’s Hospital of Wisconsin - Pewaukee Pediatrics serves the Pewaukee and surrounding areas in family-patient centered care for children of Wisconsin. Our primary care location currently houses three board certified pediatricians; Drs. Sharma, Weinert and Whitt. Coming soon to our new location this fall we are offering more services in our clinic to include lactation, car seat checks, behavioral health and dental. Our team based care delivery model ensures continuity of care for our patients and offers a patient-centered medical home. At Pewaukee Pediatrics we believe kids deserve the best. Pewaukee Pediatrics is moving! Effective Monday, September 17th we will open our doors to the community of our brand new building located on George Towne Dr next to Aldi Foods. The Pewaukee Pediatric team was able to partner on this project and assist in the development and design of this new building with our patients in mind. We are excited to share our new space to current and new families joining our practice. Please join us for our Open House on Saturday, October 6th at 9 am.